I just found this on the NY Times. There are probably few of you with your hands free enough to read it, but I do. I’m actually living vicariously through it. Saddleshoos has something of a talent in the kitchen, and a love of the process of preparing a meal. Sadly, both of the two Thanksgiving dinners Saddleshoos is attending this year (at 2PM PST and 5PM PST respectively) will be catered rather than cooked by people I know and love with participation (for better or worse) of various blood and non-blood relatives. 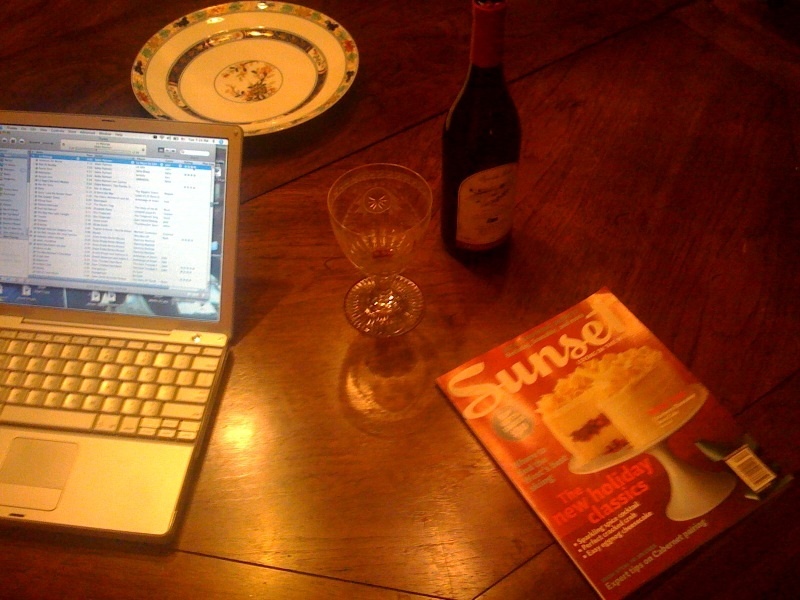 Digital mixing, wine drinking, and my favorite magazine, Sunset. I know there are some haters out there, but it is a really soothing cornucopia of Western food, travel, and the good life. Think slow food and Napa. Great recipes too. What I’m making tonight (not from Sunset magazine…I know). 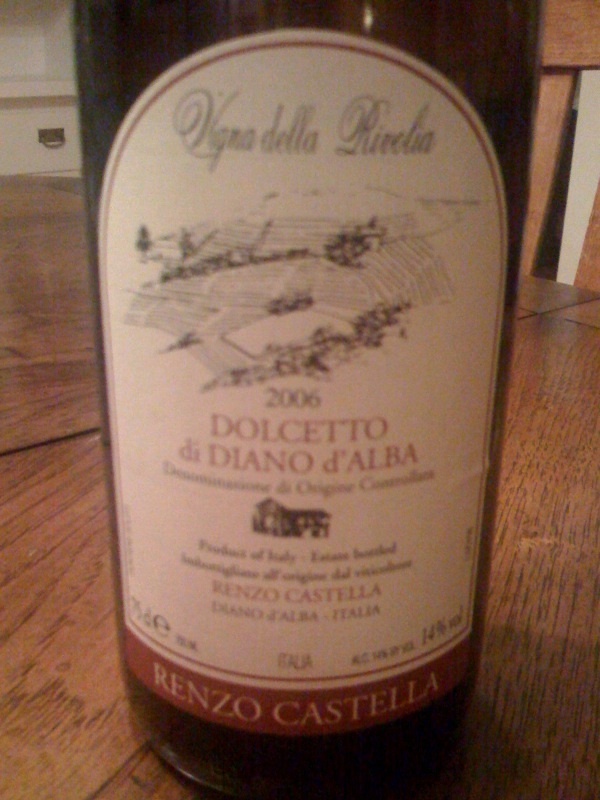 I just can’t get enough of the Italian reds these days. This is excellent and can be found in the “Bargain Red” section of Paul Marcus at approximately $13. Paul Marcus is a brilliant place. Prince: Cinnamon Girl from Musicology (really random), Sebadoh: my old favorites favorites favorites Not A Friend and Got It, Sufjan Stevens: All Good Naysayers Speak Up Or Forever Hold Your Peace! from Greetings from Michigan, Grizzly Bear: Colorado (Dan’s guitar in the middle/at the bridge is amazing, I could just listen to this over and over again–great song–I’ll never forget when this album came out and Sean blogged about it with the title CHEER UP CHEER UP CHEER UP–when I am listening to this song I also think WHAT NOW? WHAT NOW? WHAT NOW? WHAT NOW? amazing), Dorival Caymmi: Samba Da Minha Terra, Pixies: Rock Music from Bossanova, Keilis: Bossy, Marisa Monte: Pra Ser Sincero, Eddie Palmieri: La Malanga, Tito Puente Y Hector Lavoe: Timbalero, Keyshia Cole Featuring Lil’ Kim & Missy Elliot: Let It Go, Aurelio Martinez: Nuwerun. Wow, wow, wow. Everyone wants peonies ALL the time. They are the ultimate in lushness and pure beauty. When I was working at Bloomies desperate husbands would come in looking for their wives’ favorite flower from June to March and walk away sorely disappointed, with ranunculus if they were lucky. 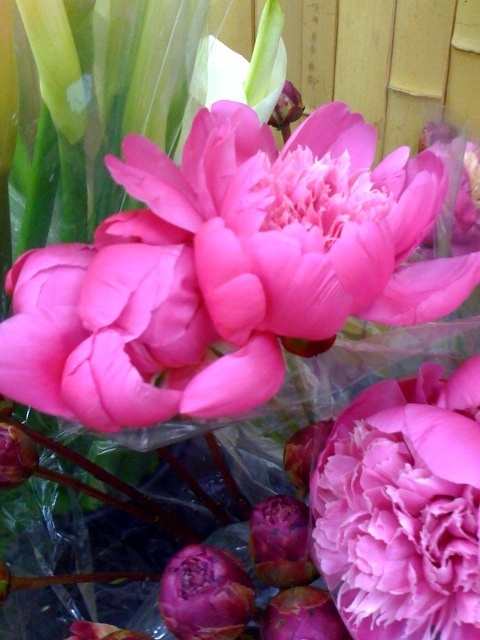 The elusive peony can usually only be found in the months of April and May. Due to the need for a deep frost, they will not produce blooms in California, although I’ve heard of many people trying and harvesting nothing but their fabulous greens. BUT, BUT, I found peonies at (GASP) TRADER JOES this week!!! 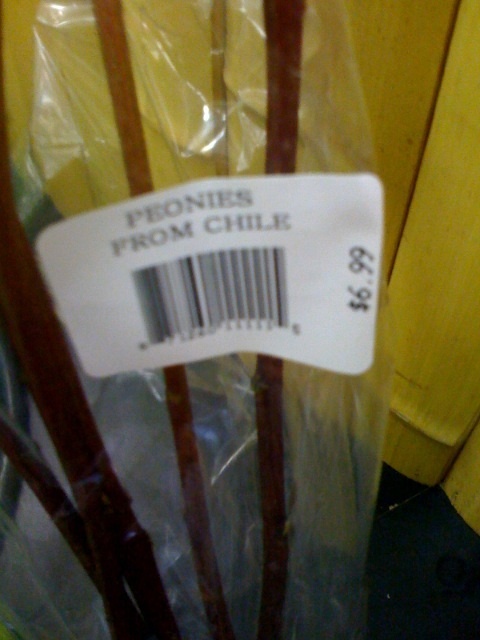 They had them in from Chile, and they were priced at $6.99 a bunch!!! Peonies are tough to get in off-season for under $15 a stem. Usually they have to be shipped from New Zealand in a tight bud that isn’t even guaranteed to open. See is believing: check out that price tag! When I went back last night they were sold out, but I’m guessing they will get more. So run to your Trader Joe’s and ask one of those super helpful part-timers when they’re getting the next shipment in from Chile!